Lianne Heller has worked in the field of Jewish education and special education for the past twenty years. After studying journalism in South Africa, where she established a publishing company and television production company, she immigrated to the US. Her focus shifted to Jewish education when she became a mother of four sons. Lianne's work at the Montgomery County Public School Learning and Disabilities (LAD) program, as well as in the Center Programs for the Highly Gifted, inspired her to continue her studies in the field of Jewish education and leadership. She completed a work study tour of the Reggio Emilia school system in Italy and went on to complete the Jewish Early Childhood Leadership Institute program through the Jewish Theological Seminary and Bank Street College of Education. Lianne believes that all educators have an extra obligation to continue the active pursuit of learning in order to model to their students a life-long commitment to growth and discovery. She continues to take multiple courses in special education, Jewish thought, and leadership. In addition, Heller gives talks and workshops on leadership, and a Jewish perspective in education. Rachel Sushner oversees the Upper School Division and She'arim High School at Sulam. Rachel holds a Masters Degree in Special Education from Johns Hopkins University. During her more than ten years at Sulam she has been instrumental in launching the She'arim program as well as other initiatives. Rachel is passionate about her role in supporting the students of Sulam. Rachel is an avid reader and enjoys the challenge of a good hike. She lives in Silver Spring with her husband and three children. Debra Drang is the Division Chair of Sulam’s Lower and Middle School Programs. Currently in her 19th year in education, she holds a Ph.D. in Special Education from University of Maryland. She has served in a variety of capacities including classroom teacher, itinerant teacher, mentor, teacher trainer/coach, and researcher. Debra has a strong record of applying current, research-based best practices to everyday classroom life. Her areas of expertise include inclusion, universal curriculum design, tiered instruction/intervention, classroom management, and progress monitoring. Debra is a foodie and loves to read. Laura Hardy is the Middle and Upper School Social Emotional Support Specialist. She has 20 years of school experience, 14 of which have been at Sulam. Ms. Hardy earned her Masters in Social work from University of Pennsylvania and spends her days at Sulam working individually with students, guiding teachers in behavioral management, and serving on the leadership team. Laura loves sports, especially skiing and sailing with her family. She lives in DC with her husband Kevin and their 3 daughters. 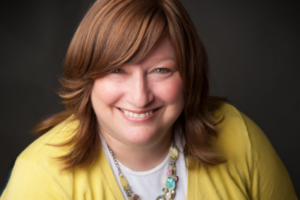 Nancy Kohl has over thirty-five years of experience working as a master teacher and educational consultant, and professional development trainer. She has more recently focused on working with teachers and students to promote social-emotional learning which is critical to student’s success in learning environments. Ms. Kohl received her credential for training in Social Emotional Foundations of Early Learning in 2014. 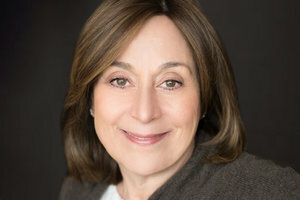 She has presented at National Association for The Education of Young Children, Montgomery County Public Schools, and Partnership for Jewish Life and Learning in Maryland, New York, and New Jersey. Ms. Kohl is a life-long learner, constructivist educator, and a passionate teacher who loves to inspire creativity, and a growth mindset in those with whom she works. She is married with two adult children, who live in DC. Ms. Kohl grew up in New York City and loves visiting the city whenever she can. Rachel Ravin serves as Sulam’s school Psychologist. She received her Ph.D. in Clinical Psychology from The George Washington University, specializing in work with children and adolescents. Rachel has 15 years experience in schools and has been working with Sulam since 2003. She facilitates social interactions, teaches problem solving skills and gives guidance to students as needed. The sessions are an integral part of the students’ individualized programs and help students to improve social, emotional, and behavioral functioning. Rachel also conducts social skills groups in conjunction with the guidance counselors from the host school. She works closely with family members and outside professionals to help support our students. Rachel enjoys spending time with friends and traveling with her family to New York. Arlene Sullivan is the Reading Specialist for Sulam. She helps Sulam students reach their fullest potential by helping teachers develop research-based curriculum and implement data-driven instruction in their literacy classrooms. She tutors individual students needing specialized reading intervention; in addition, she provides resources to parents, educators, and stakeholders on best practices in literacy instruction. She has a Master of Special Education Degree, Master of Elementary Education Degree, and multiple reading intervention certifications. She considers reaching reluctant/low readers with quality literature and engaging instruction to be one of her strengths. Arlene is active in multiple international literacy and special education organizations to help keep up to date on the most current education discussions. When not reading, she can be found hiking with her husband and dog.